In a blog post a few months ago, we outlined best resources for aspiring android app developers to learn android. Remember how we talked about utilizing android tools? 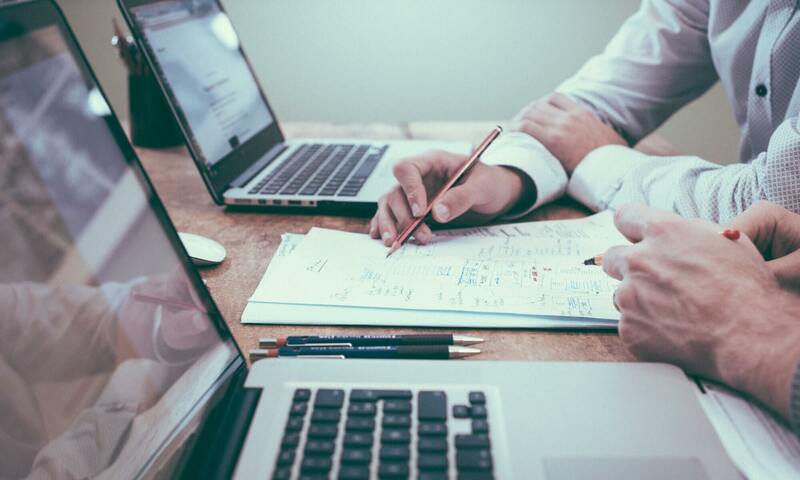 APIs often play an instrumental role in bootstrapping startups, but given the sheer volume of 3rd party APIs available, finding the best API for android development becomes difficult. And, there’s a huge gap when you compare the API usage of top android app developers to the rest. We frequently get asked about our recommendations for the best android APIs people can use within their apps, and with this post we hope to answer some of your questions. Our idea was to utilize automation and monitor any requests that an app sends over the network. A little inspection was required in case of ghost requests, a majority of these requests were sent by Ad APIs. To make sure we have the right data, we randomly took 10 out of top 100 apps from major Play Store categories. 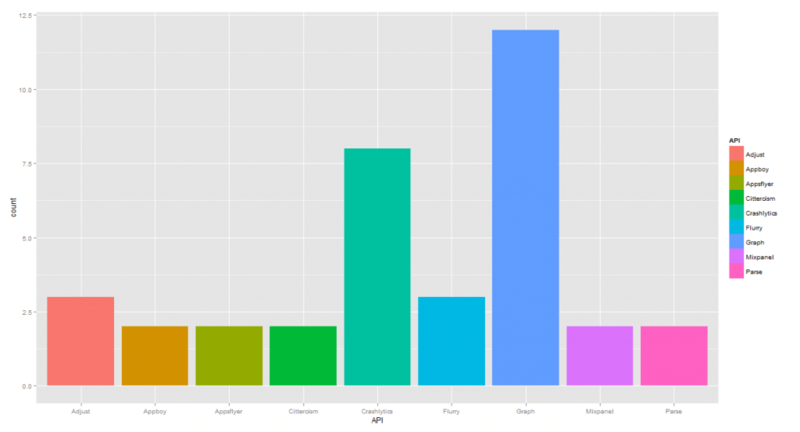 We also ensured diversity, and tried achieving a near truly random sample that could represent the top 100 apps in each category. 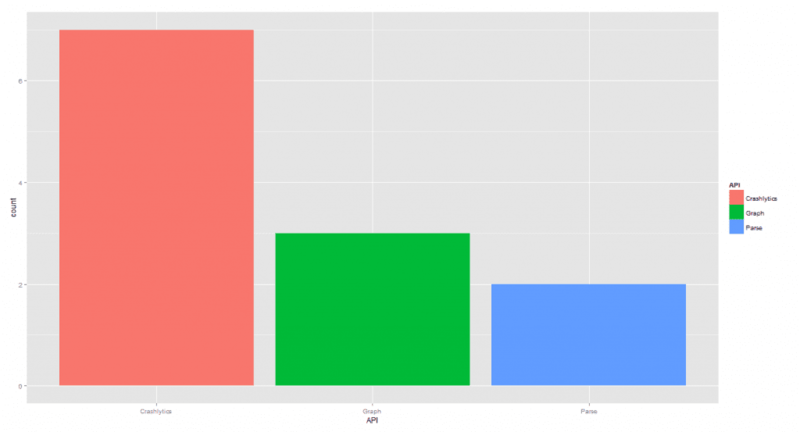 Google Ads leads the advertising API space. 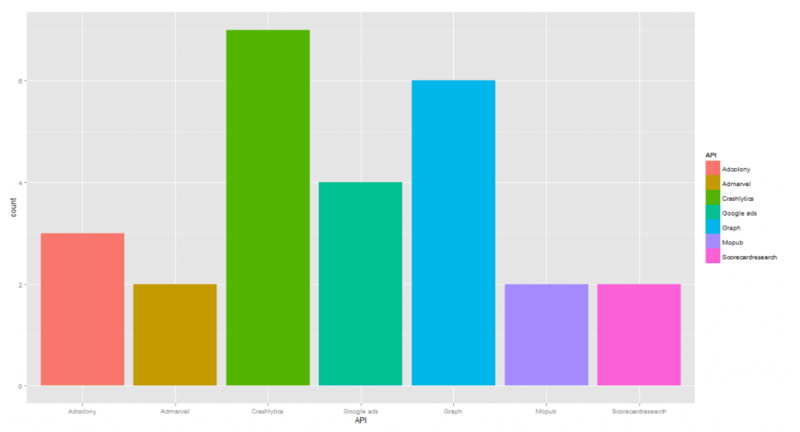 Branch Metrics stands out as the best API for deep linking in android apps. 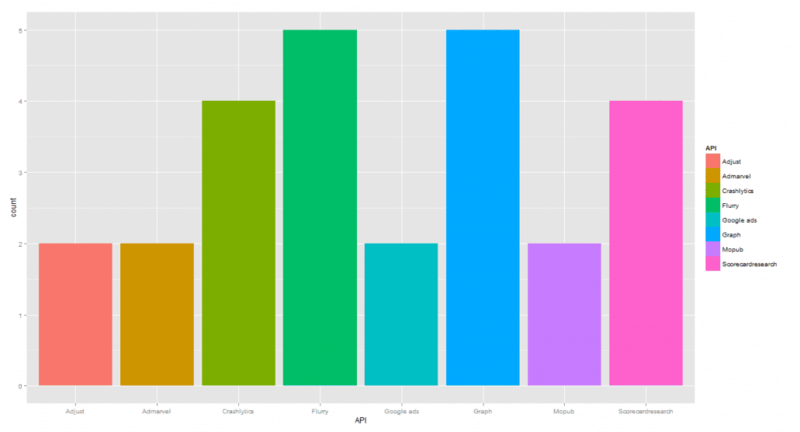 Flurry is the leading App analytics API and clearly a market leader in this space. Adjust vs Appsflyer – developers love both equally. While Appsflyer is easier to integrate, Adjust might appear daunting at first, but it provides flexibility to developers. In Mobile APM APIs, Apteligent (previously Crittercism) leads, followed by New Relic as the premium provider. The above findings provide an overall idea of the best available APIs, but it says less about category-wise usage of APIs in the Play Store. Often APIs are category specific, and could play a big role in building an app infrastructure that is well adapted to specific needs. Hence, we thought it would be interesting to find out the most popular APIs within major app categories. Let’s have a look at these Play store categories and the APIs they are using. 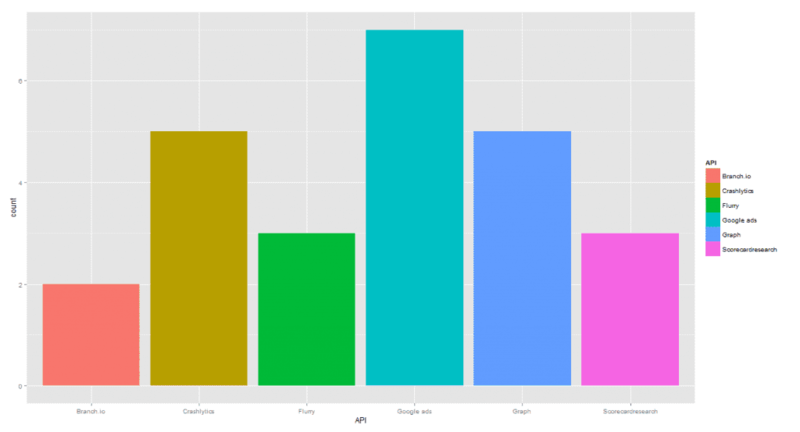 Top 3rd party APIs being used are Graph and Google ads, followed by Crashlytics and Localytics. 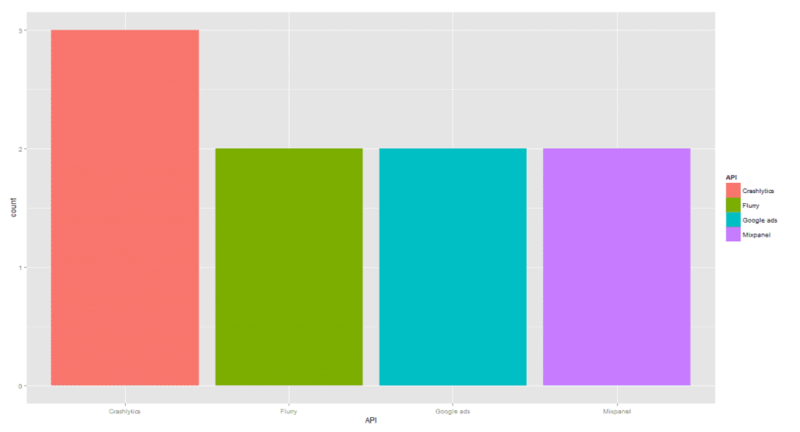 Most frequently used APIs include Graph, Crashlytics and Flurry analytics. 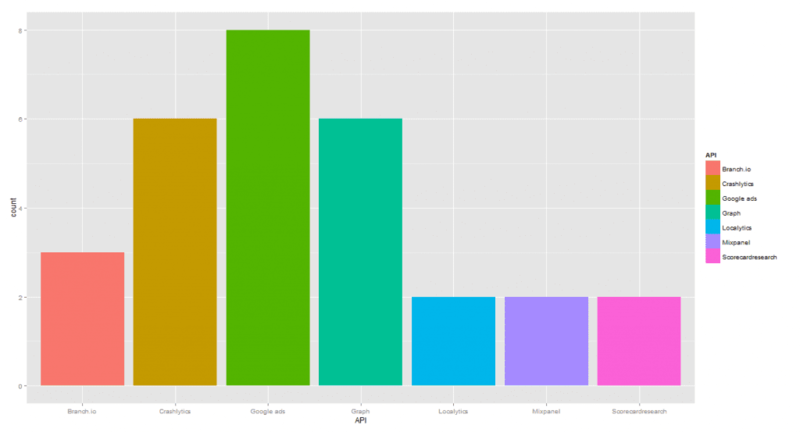 Other than Graph, Google ads and Crashlytics our data shows Branch.io and ScorecardResearch (Comscore) as the most used APIs. 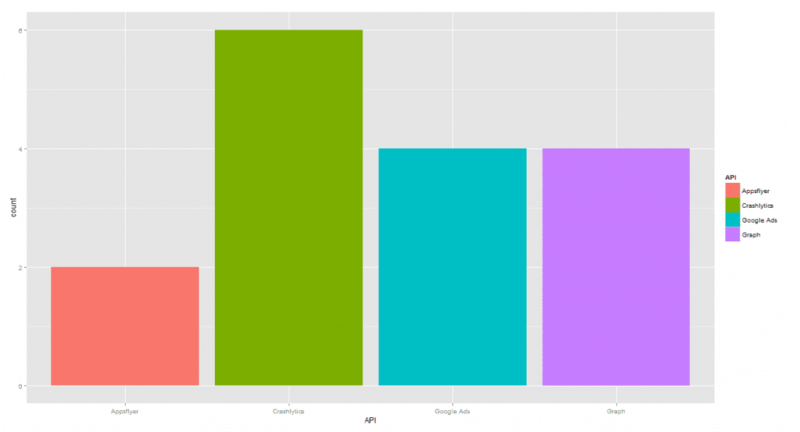 Google ads, Graph, Crashlytics and Appsflyer are the most frequently used APIs in business apps. 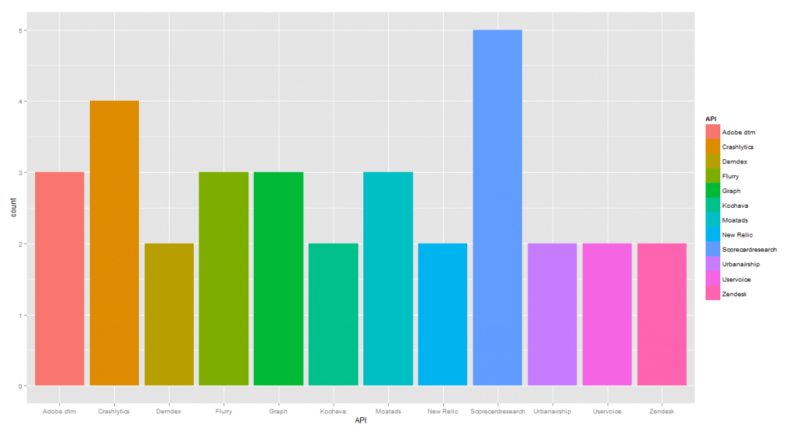 Our sample shows the usual Crashlytics and Graph, but Parse also surfaces as a frequently used API in this category. Lifestyle apps use a lot of 3rd party APIs, often because they require precision metrics to measure user engagement and behavior. Top APIs that surfaced from our data includes Adjust, Scorecardresearch (ComScore), Tapstream, Fiksu, Tune and Mixpanel. 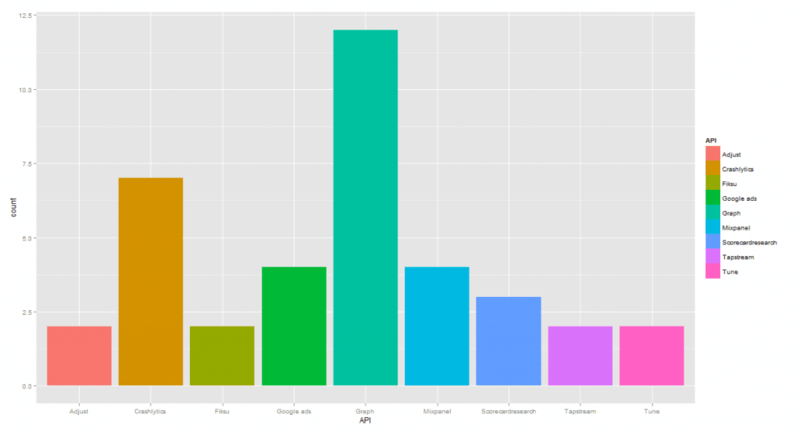 Apart from Crashlytics, Google ads and Graph we see Branch.io, Comscore, Mixpanel and Localytics as the leading APIs. Music apps extensively use APIs like Adcolony, Admarvel, Scorecardresearch (Comscore) and Mopub, along with Graph, Google ads and Crashlytics. Flurry is definitely one such API that anyone developing a weather app should look at closely. If you are developing a weather app you should also look for Mopub, Adjust, Google ads and Admarvel as your ad partner. This category brings no exception to Crashlytics as a major crash API. We also observe the high usage of Scorecardresearch (Comscore) in weather apps. Most social apps utilize their own complex inbuilt infrastructures. 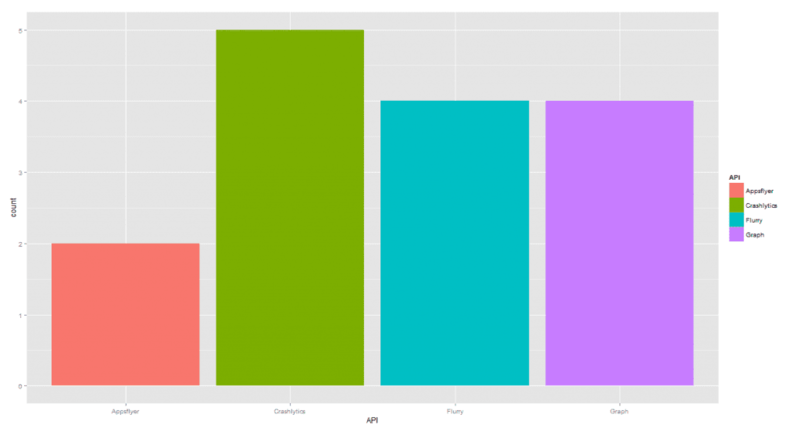 But, when it comes to 3rd party APIs, they also rely heavily on Crashlytics, Graph and Flurry. Apps that belong to this category utilize a variety marketing and user data tracking APIs like Mixpanel, Adjust, Appsflyer, etc to understand their market. They also rely on Graph and Crashlytics heavily. When it comes to customer service popular shopping apps have their own custom solutions. Sports app is the only category where Comscore was found as the most used API. Which is followed by Demdex, Flurry and Adobe Dtm. We also found user feedback API’s like Zendesk and Uservoice are being used equally within this category. 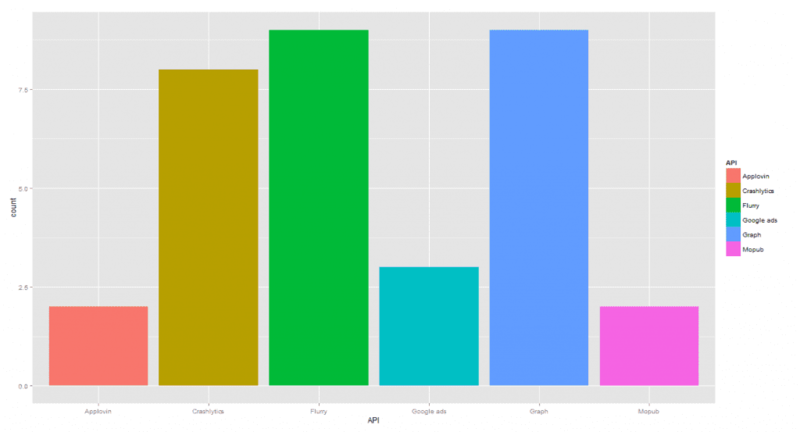 Most used APIs in this category are Flurry, Graph and Crashlytics; followed by Ad APIs: Google ads, Applovin and Mopub. 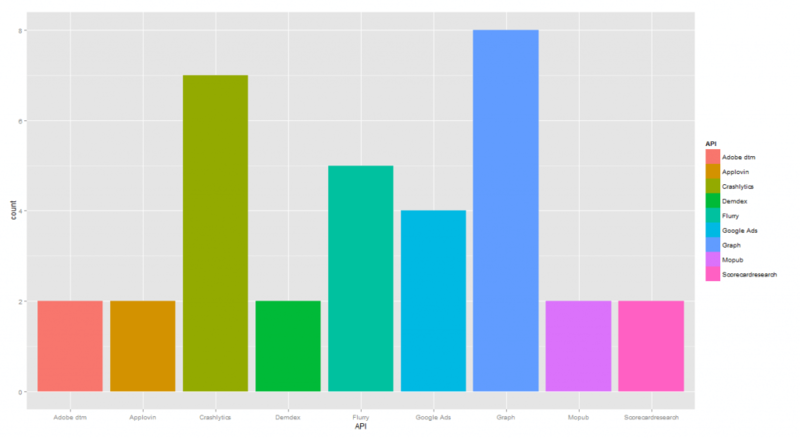 Crashlytics, followed by Flurry, Google ads and Mixpanel surfaced as the most used APIs by the top Finance apps. Note: In order to better represent our data we removed APIs that only appeared once. But if you wish to see them along with the major APIs, the visualization below may help. Have something to share? Drop us a comment.